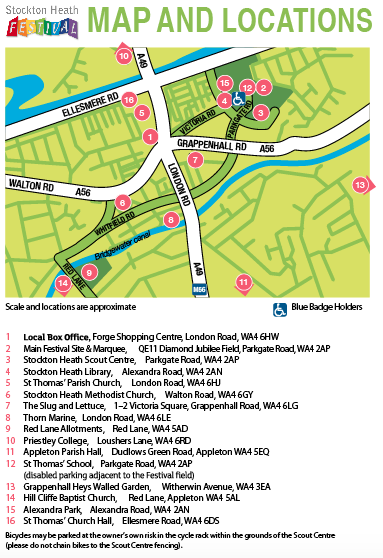 Each year, the Stockton Heath Festival is proud to present the arts, craft and farmers’ markets. Do you like browsing stalls for interesting and unique gifts such as jewellery, glassware, ceramics and home decor items? Then the Festival field markets might have what you’re looking for. If you like delicious artisan produce including pies, sausages, drinks, cakes and breads to tempt your taste buds? Then head to the markets and you’ll be spoilt for choice. The arts, crafts and farmer’s market is a magnet for Festival visitors – and well deserved as there is plenty of variety to suit all tastes, including supporting local charities. A fun and educational animal handling experience, suitable for children of all ages and abilities. Including an owl, rabbit, guinea pig, python, and reptiles. 11am to 3pm. Thank you to Rylands Solicitors for sponsoring this event. Meet your local police officers and see exhibits from the local police museum. This is a hands-on science centre in Widnes which makes science exciting and accessible to people of all ages and abilities. Meet staff and find out about the sports and fitness activities at Broomfields Leisure Centre. Mountain Monkeys are back with their amazing climbing towe. Can you reach the top of the wall? This activity is supervised and free. There will also be a range of food and drink outlets on the Festival Field. Here’s how to find the Festival Field, QEII Diamond Jubilee Field, WA4 2AP.